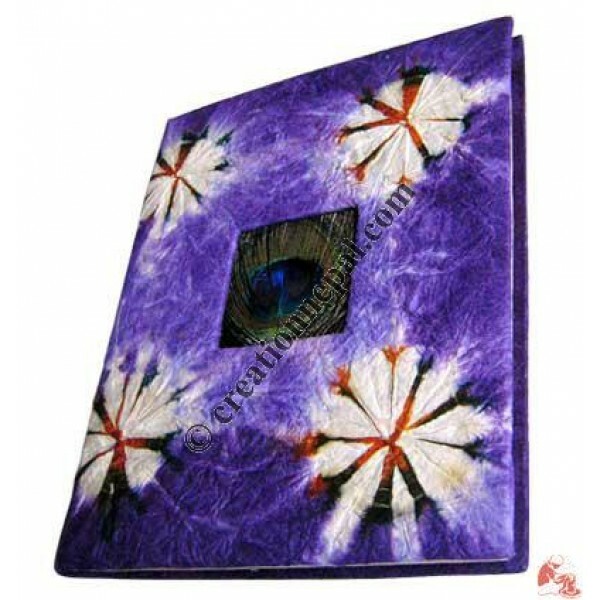 Tie-dye wrinkled paper center cut out foamy soft cover with peacock's fin design regular style notebook is ideal for any kind of writing on. It contains 30 sheets (60 pages) 20 gram acid free, eco friendly handmade traditional Nepali Lokta paper and suitable to keep the scripts for long period. Since the product is handmade, there can be slight variations in the given size and colors.